At Valeta Studios and Apartments, we believe in genuine hospitality and it is our desire that every guest enjoys clean, comfortable and peaceful accommodation. It is our privilege to be located just a stone’s throw from the sea, away from the hustle and bustle. Within the two storey building, the rooms have been built and designed in keeping with the character of Ikaria and include many decorative elements in wood and stone, combining tradition with modern comforts in perfect harmony. 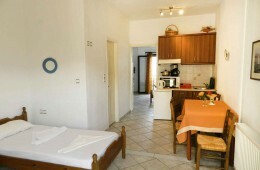 The apartments are very comfortable, with amazing sea view. They can accommodate 2-4 people, are fully equipped and ideal for families and long-term reservations. Our studios are ideal for 2-3 people. They include kitchennette,mini-fridge and bathroom. 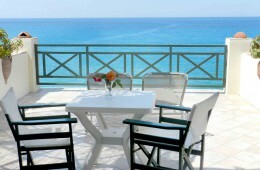 Located just above the sea with a lovely balcony to seat all day long.